Lars is a Solicitor in England and Wales and an Avocat at the Paris bar. He is the Managing Partner of Lewis & Co. He deals with all aspects of shipping, international trade, and insurance, including P&I and defence, casualties, pollution, ship arrest, yachts, cruise and ferry, soft commodities, oil trading, international arbitration, and the defence of personal injury claims. A survey by the International Bar Association in Who’s Who Legal said participants were “very impressed”. Lars often speaks at conferences including the Lloyd’s Maritime Academy ship arrest conference. Together with Lewis & Co partner Peter Iglikowski, Lars previously founded the shipping group in Paris of Richards Butler (now Reed Smith). Lars is listed in Expert Guides. Lars is a member of the International Bunker Industry Association (IBIA). As the Managing Partner of Richards Butler (now Reed Smith) Paris, Lars built out a multi-disciplinary office of 70 people covering shipping, international trade, corporate, mergers and acquisitions, private equity, real estate, commercial litigation, international arbitration, tax and employment. Lewis & Co’s managing partner Lars Lewis is recognised by peers as “a knowledgeable and reliable lawyer” who is well equipped to advise clients on insurance, ship arrests and international trade issues. The ‘exceptionally tenacious and talented’ practitioners at Lewis & Co AARPI ‘really understand how to get what their clients want’ and ‘easily adapt to the requirements of blue-chip shipping companies’ thanks to ‘fantastic knowledge, which is concentrated in a small and unbelievably effective practice’. The team specialises in maritime casualty work and commercial disputes arising from shipping contracts. Practice head and managing partner Lars Lewis is English and French dual-qualified; clients state he is ‘clever, disciplined and cunning’, ‘the worst opponent you could ever have’ and ‘a commercially sensitive strategist’. Peter Iglikowski, Leila Esnard and Guillaume de Bascher are also key names to note. Lewis & Co AARPI provides ‘a top-notch service’. The ‘very responsive and attentive’ team has ‘excellent industry knowledge’ across French and UK law, with experience of handling French and cross-border litigation, including arbitration cases. The practice regularly acts for clients in commercial disputes and vessel arrests. It is currently involved in a headline case in relation with a major maritime casualty. The team is headed by ‘masterfully skilled negotiator’ Lars Lewis. Peter Iglikowski is also highly experienced and is recommended along with Guillaume de Bascher and Leïla Esnard, who has ‘a very professional and proactive approach’. Lewis & Co AARPI provides ‘rapid responses and thorough services’ to trading companies, lenders and shipowners on a broad range of matters including litigation and ship arrests. 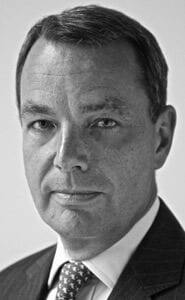 Lars Lewis is ‘very experienced in the French legal market for shipping, trade and arbitration work’. Peter Iglikowski is also a key figure. Lewis & Co AARPI’s ‘very professional’ five-lawyer team is ‘most reliable and knowledgeable’, and advises shipowners, trading companies and French banks, and is particularly sought after to assist with ship arrest and piracy issues. The firm was involved in the Estonia proceedings. Lars Lewis is ‘friendly, knowledgeable and service-minded’, and Peter Iglikowski is also recommended. The firm is recommended for shipping and trade arbitrations and other disputes. The five lawyer team represents industrial companies, shipowners, traders and lenders. Practice head Lars Lewis has a ‘detailed understanding of French legal procedures’ and provides ‘first-rate, incisive advice’. Peter Iglikowski gives ‘excellent and practical advice on trade and shipping matters’. Lars Lewis is managing partner of LEWIS & CO AARPI and is recognised for his strong shipping practice. He represents clients in international arbitration and personal injury claims, with experience in international trade and insurance matters. Managing partner Lars Lewis of LEWIS & CO AARPI has won the confidence of clients, who highlight the quality of his service. One source says: “His knowledge is second to none and he has a very commercial approach to the work.” Lewis has long-standing expertise in the shipping sector and advises on both contentious and non-contentious matters.